^ 1.0 1.1 1.2 County Clerk. Paul Butterfield. Sweet Home Cook County. [September 15, 2013]. （原始内容存档于May 13, 2014）. ^ 2.0 2.1 2.2 Musician's Death Laid to Overdose. Los Angeles Times. June 13, 1987 [July 23, 2013]. ^ Paul Butterfield: Biography. Rolling Stone.com. [September 13, 2013]. Dicaire, David. More Blues Singers: Biographies of 50 Artists from the Later 20th Century. Jefferson, North Carolina: McFarland & Co. 2001. ISBN 978-0-7864-1035-4. Ellis III, Tom. Paul Butterfield: From Newport to Woodstock. Blues Access.com. 29. Spring 1997. Erlewine, Michael. Paul Butterfield Blues Band. (编) Erlewine, Michael. All Music Guide to the Blues. San Francisco: Miller Freeman Books. 1996. ISBN 0-87930-424-3. Field, Kim. Harmonicas, Harps, and Heavy Breathers: The Evolution of the People's Instrument. New York City: Cooper Square Press. 2000. ISBN 978-0-8154-1020-1. Gioia, Ted. Delta Blues Norton Paperback 2009. New York City: W. W. Norton. 2008. ISBN 978-0-393-33750-1. Gordon, Robert. Can't Be Satisfied: The Life and Times of Muddy Waters. New York City: Little, Brown. 2002. ISBN 0-316-32849-9. Herzhaft, Gerard. Paul Butterfield. Encyclopedia of the Blues. Fayetteville, Arkansas: University of Arkansas Press. 1992. ISBN 1-55728-252-8. Houghton, Mick. Becoming Elektra: True Story of Jac Holzman's Visionary Record Label. London: Jawbone Press. 2010. ISBN 978-1-906002-29-9. Marcus, Greil. Like a Rolling Stone: Bob Dylan at the Crossroads. New York City: PublicAffairs. 2006. ISBN 978-1-58648-382-1. Milward, John. Crossroads: How the Blues Shaped Rock 'n' Roll (and Rock Saved the Blues). Northeastern University Press. 2013. ISBN 978-1-55553-744-9. Perone, James. Woodstock: An Encyclopedia of the Music and Art Fair. Santa Barbara, California: Greenwood Publishing Group. 2005. ISBN 978-0-313-33057-5. Rothchild, Paul. The Original Lost Elektra Sessions (CD booklet). 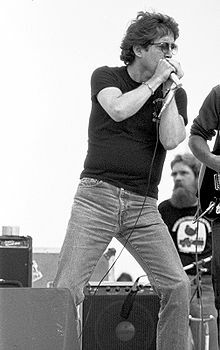 Paul Butterfield Blues Band. Los Angeles: Elektra Entertainment/Rhino Records. 1995. R2 73305. Schinder, Scott. A Hard Road (expanded edition) (CD booklet). John Mayall & the Bluesbreakers. New York City: Deram Records. 2003. B0001083-02. Shadwick, Keith. Paul Butterfield. The Encyclopedia of Jazz & Blues. London: Quantum Publishing. 2007. ISBN 978-0-681-08644-9. Ward, Ed. Michael Bloomfield: The Rise and Fall of an American Guitar Hero. Chicago: Chicago Review Press. 2016. ISBN 978-1613733318. Wolkin, Jan Mark; Keenom, Bill. Michael Bloomfield – If You Love These Blues: An Oral History. San Francisco: Backbeat Books. 2000. ISBN 978-0-87930-617-5.